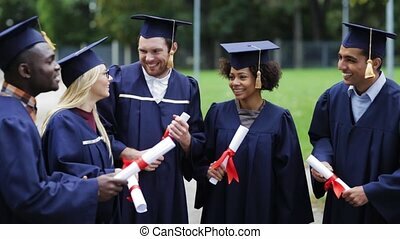 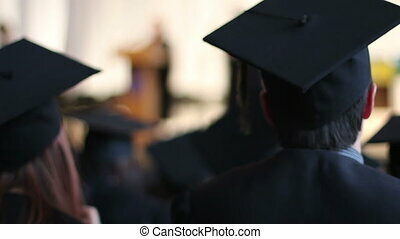 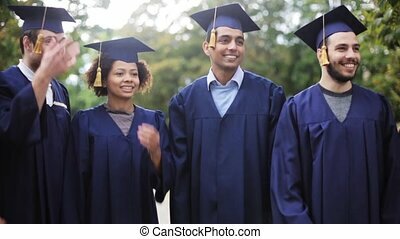 Education, graduation and people concept - group of international students in bachelor gowns holding diploma scrolls. 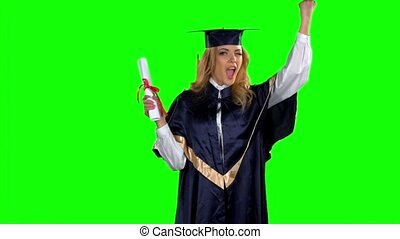 "Excited students in caps and gowns applauding at university graduation ceremony"
"University graduate receiving master's degree diploma. 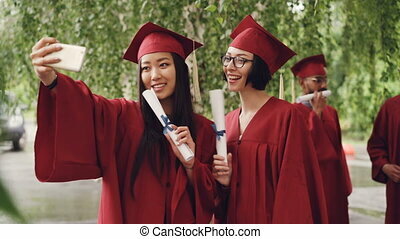 Young guys in gowns, caps"
Pretty girls graduating students are taking selfie with diploma scrolls using smartphone, young women are posing and smiling, their fellow students are celebrating in background. 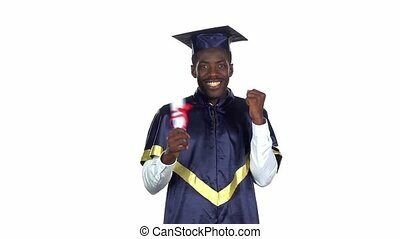 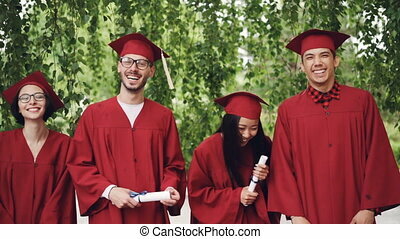 "Many excited students in caps and gowns. 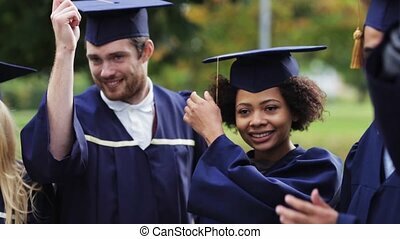 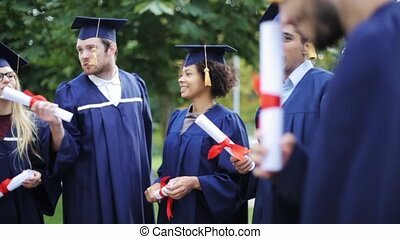 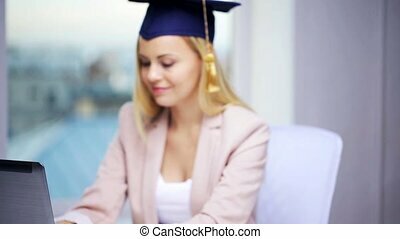 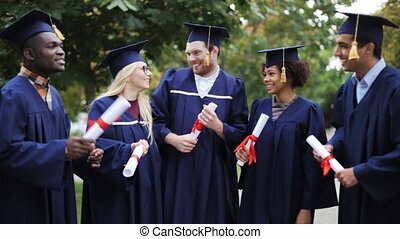 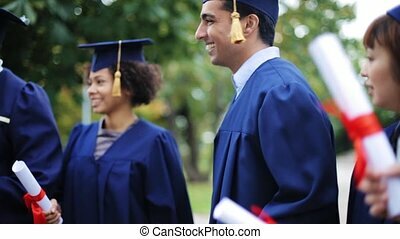 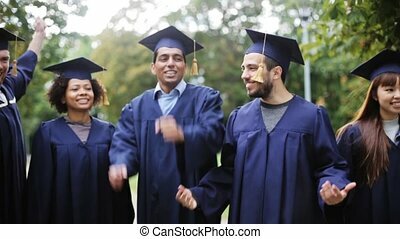 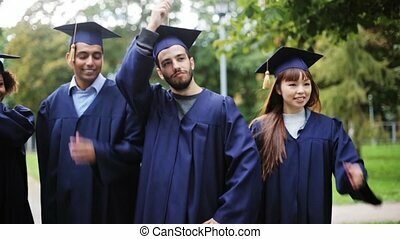 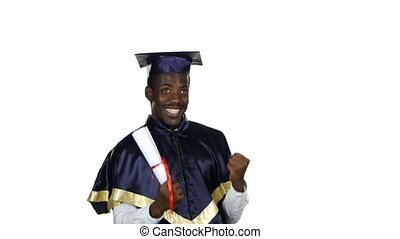 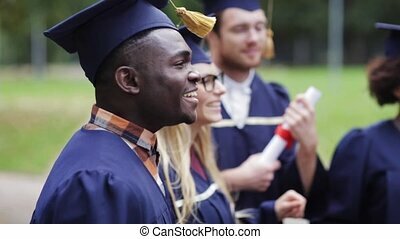 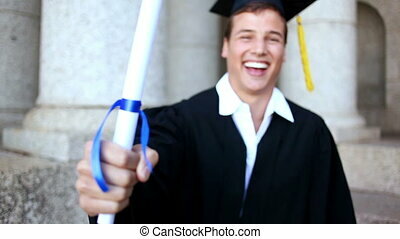 Hope for successful career in business"
Slow motion portrait of graduating students standing in line holding diplomas and laughing looking at camera. 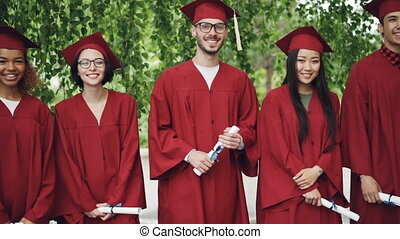 Girls and guys are wearing red mortar-boards and gowns. 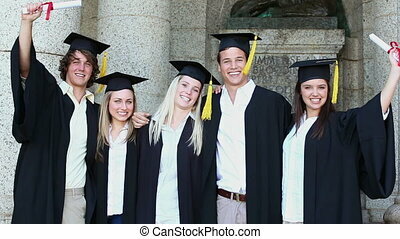 Dolly shot of smiling graduates standing in line on university campus, looking at camera and holding diplomas. 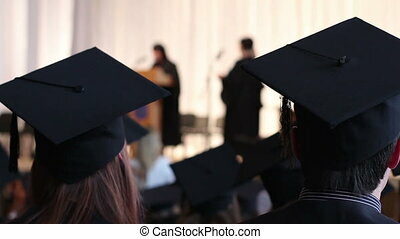 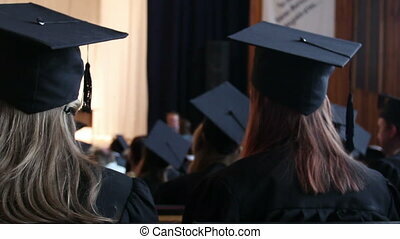 Bright gowns and mortar-boards, trees and scrolls are visible.